Since the domestication of the chicken, people have been nourishing themselves with eggs. As a long time symbol of fertility and rebirth, the egg has taken its place in religious as well as culinary history as an important and versatile ingredient for cooking, their chemical make-up being quite literally the glue of many important baking reactions. 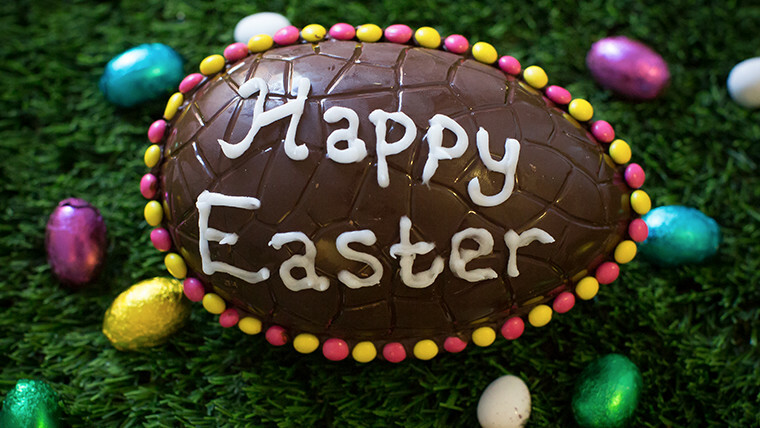 In Christianity, the symbol of the decorated egg has become synonymous with Easter and there are lots of different types of egg available although the most commonly raised are chicken eggs. More specialist choices include duck, goose, quail and even emu. Eggs are a very good source of inexpensive, high quality protein which as part of a controlled diet can help with weight loss. 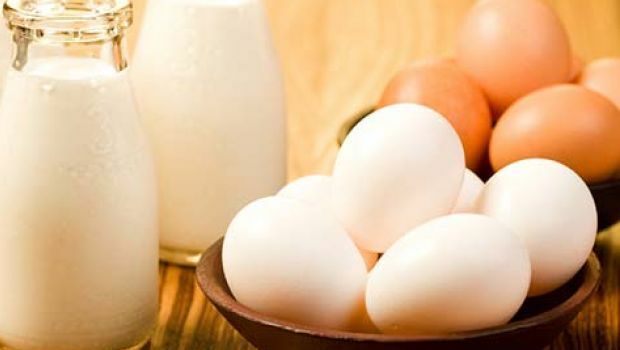 Egg whites are rich sources of selenium, vitamin D, B6, B12 and minerals such as zinc, iron and copper while egg yolks contain more calories and fat. They are the source of cholesterol, fat soluble vitamins A, D, E and K and lecithin, the compound that enables emulsification in recipes such as hollandaise or mayonnaise. 1) The colour of the egg shell is not related to quality, nutrients, flavour, or cooking characteristics. White shelled eggs are produced by hens with white feathers and white ear lobes while brown shelled eggs are produced by hens with red feathers and red ear lobes. Brown egg laying hens are usually slightly larger and require more food meaning that, as a rule, that brown eggs cost more than white eggs. 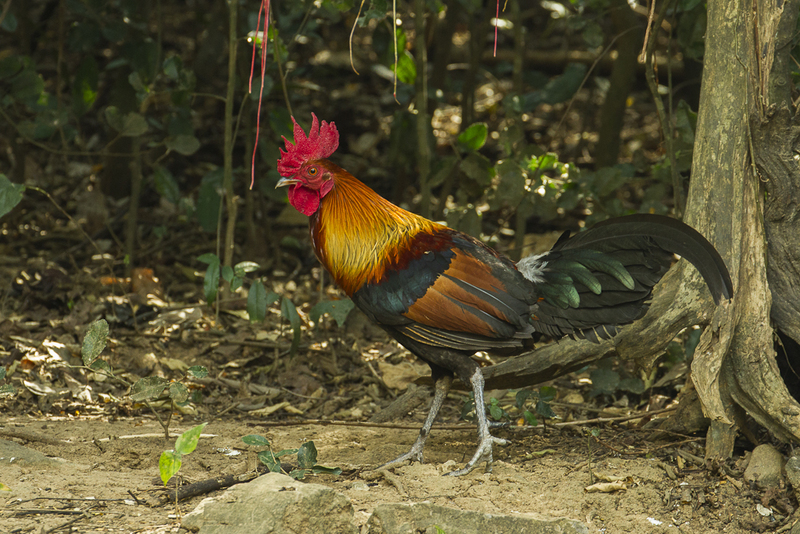 2) All 150 breeds of chicken are descendants of the red jungle fowl, gallus gallus spadiceus that can be found in Asia. (right) Chickens were among the first domesticated animals, appearing in China somewhere around 1,400 BC. 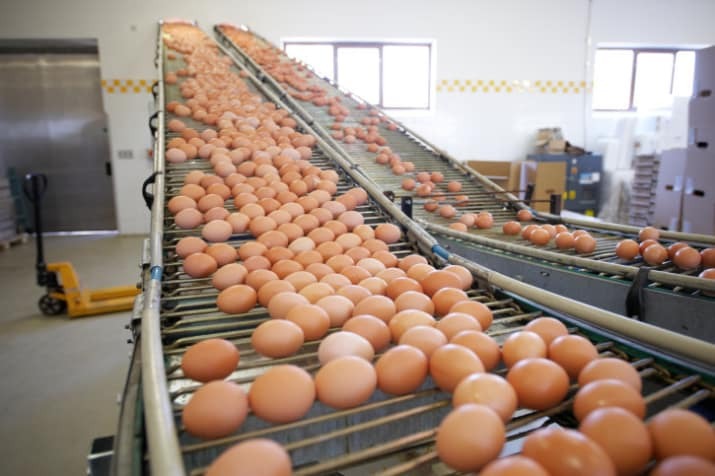 3) China produces the most eggs, at about 160 billion per year, the United States produces more than 65 billion eggs per year, while the UK produces just under 11 billion. 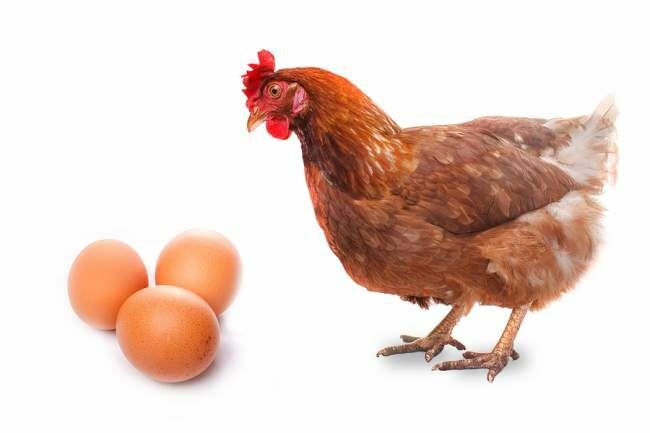 4) A hen requires about 24 to 26 hours to produce one egg. Older hens tend to lay bigger eggs but double-yolked eggs are produced by younger hens whose egg production cycles are not yet synchronized. The average hen will lay an average of 266 eggs per year. 5) Quail eggs have a similar flavour to chicken eggs, but their petite size, 5 quails eggs equate to one chickens egg, and their pretty, speckled shell have made them popular in modern cookery. The shells range in colour from dark brown to blue or white. 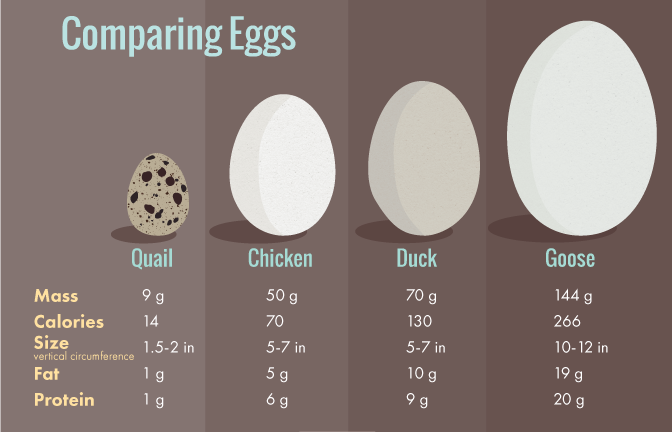 6) Duck eggs resemble chicken eggs but are larger. As with chicken eggs, they are sold in sizes ranging from small to large. Duck eggs have more protein and are richer than chicken eggs, but they also have a higher fat content and more cholesterol. When boiled, the white turns bluish and the yolk turns red-orange. 7) In traditional Chinese medicine, eggs are recommended to strengthen the blood and increase energy by enhancing digestive and kidney function. 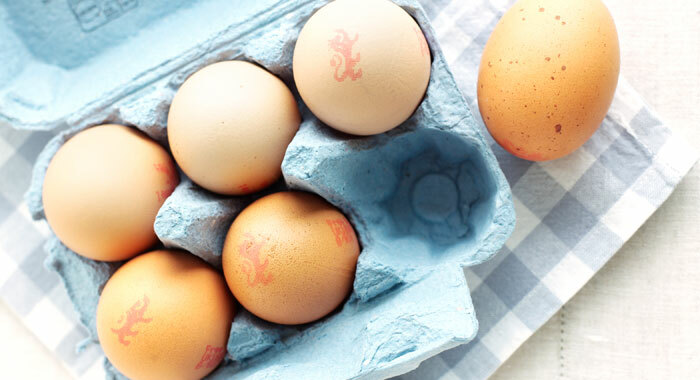 8) Eggs are a useful source of Vitamin D which helps to protect bones, preventing osteoporosis and rickets although the method of production whether free range, organic or indoor raised can make a difference to vitamin D content. 9) To ascertain whether an egg is fresh or cooked simply spin it. If it wobbles, it is still raw while if it spins easily it’s cooked. Also, a fresh egg will sink in water while a stale one will float. 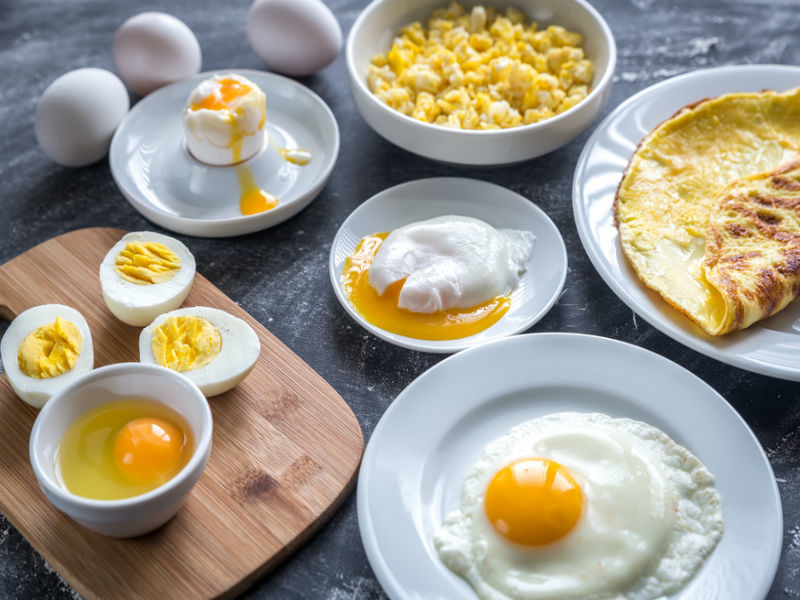 10) Eggs contain all the essential protein, minerals and vitamins, except Vitamin C, but egg yolks are one of few foods that naturally contain Vitamin D while unusually there are about 70 calories in an uncooked egg and 77 calories in a cooked one. Contrary to popular opinion, eggs are not a dairy item. To the best of my knowledge cows do not lay eggs, nor are they vegetarian. According to the Food Standards Authority eggs are classified as meat, being when all is said and done the dead foetus of a chicken. The vegetarian who claims that an egg is permissible because it is unfertilised are those same vegetarians who wear leather shoes! This entry was posted in The Evolution Of . . . and tagged eggs, emu, protein, quail. Bookmark the permalink.